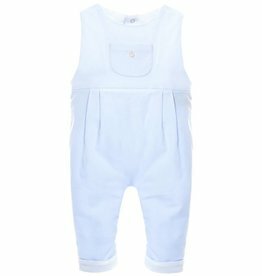 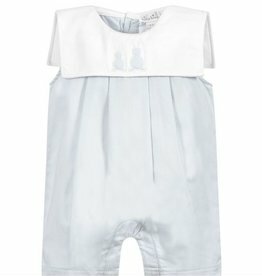 Adorable pale blue and white shortie for baby boys by Kissy Kissy, with two cute bunnies embroidered on the collar. 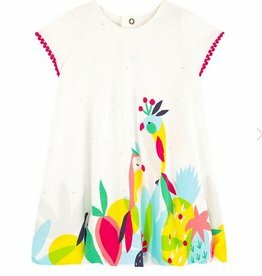 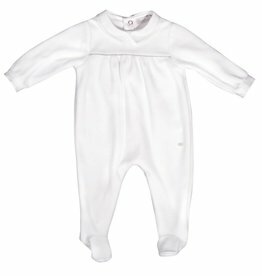 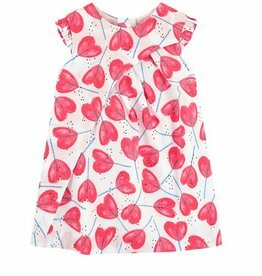 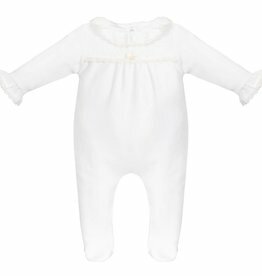 Made in lightweight pima cotton fabric, it feels beautifully soft against delicate skin. 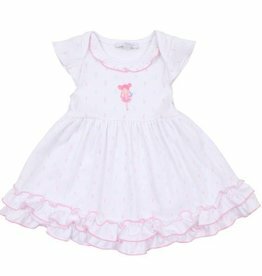 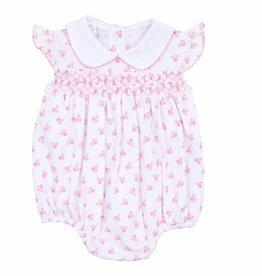 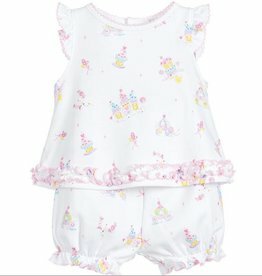 Baby girls white and pink outfit by Kissy Kissy, with a sweet 'Candy Castles' print and ruffle trim. 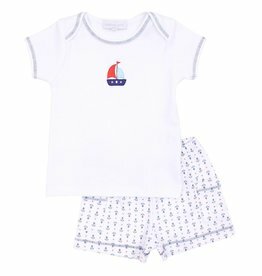 Made in the softest pima cotton jersey, with an elasticated waistband on the shorts for a comfortable fit. 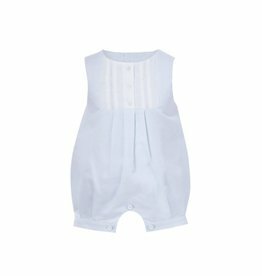 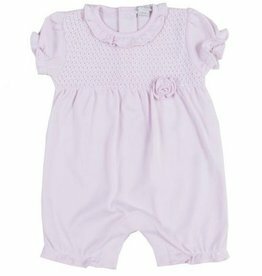 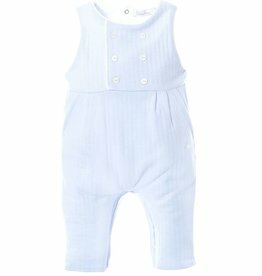 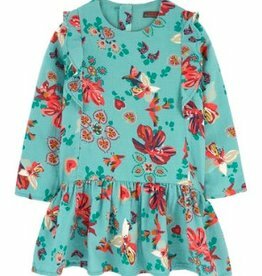 Adorable romper with 3 faux buttons at the top and real button closure on the bottom. 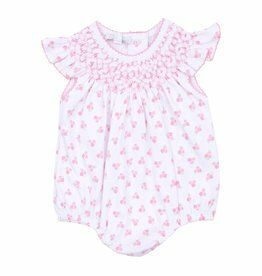 Soft pastel pink romper with snap button closure. 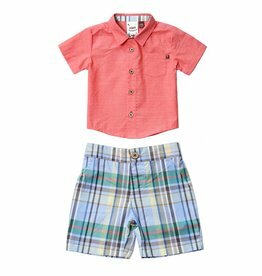 Stylish, sharp, golf-inspired collection for boys. 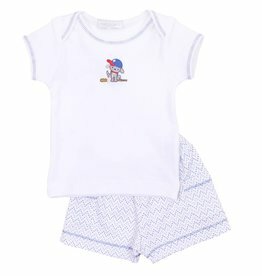 This two piece set features button closure on shorts and shirt, with a removable, adjustable necktie. 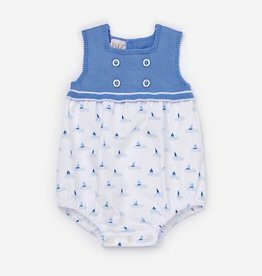 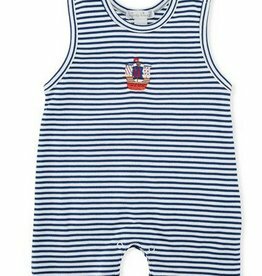 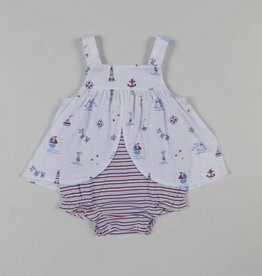 Nautical romper by Paz Rodriguez. 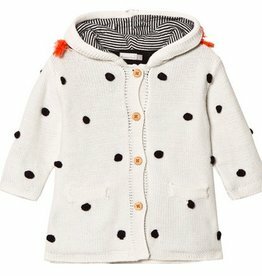 Four faux buttons at the top and three real buttons for closure on the bottom. 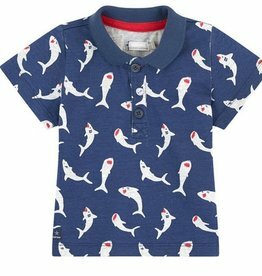 Short-sleeved polo shirt in jersey with all-over shark print creates a sporty casual look for little boys. 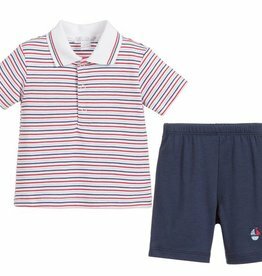 The ribbed neckline, three buttons on the front, and straight hem with slit sides make the polo stylish and easy to wear.